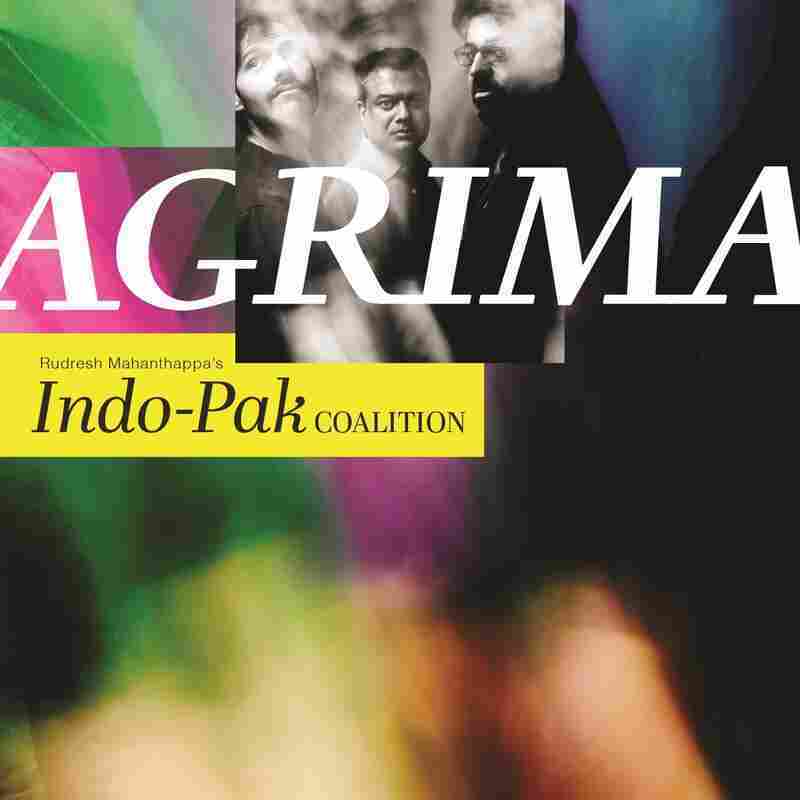 Review: Rudresh Mahanthappa's Indo-Pak Coalition, 'Agrima' The saxophonist is joined by guitarist Rez Abbasi and percussionist Dan Weiss for a project inspired by each member's ties to the Indian subcontinent. Indo-Pak Coalition, an improvising trio led by the alto saxophonist Rudresh Mahanthappa, finds its purpose in myriad forms of convergence. A decade ago the group released its auspicious debut album, Apti, announcing an inspired accord between Mahanthappa, a second-generation Indian-American; guitarist Rez Abbasi, who was born in Pakistan but raised in Los Angeles; and Dan Weiss, an Anglo-American drummer with a deep interest in Indian percussion. The name of the trio was an inside joke — a nod to immigrant-owned family businesses with names like Indo-Pak Movers and Indo-Pak Super Market — but it carried a genuine note of solidarity. Britain's Partition of the Indian subcontinent took place 70 years ago this summer, and along with creating two sovereign nations, Hindu-majority India and Muslim-majority Pakistan, the event left bitter legacies of displacement and bloodshed. That history isn't the point of the Indo-Pak Coalition, but it can't help but hover somewhere in the background. Agrima is the trio's second album, a step forward in every respect. The clearest update is a broadening of timbre. Where Apti featured a fixed range of instrumental sounds — alto saxophone, tablas, cleanly processed electric guitar — this album gives each musician more of an open canvas. Mahanthappa, whose sound on alto can be mournful or biting, delves into electronics with an expressive subtlety. (Hear what he does on the title track.) Abbasi employs distortion, back-masking and other effects, unfurling his jazz-rock freak flag. And Weiss can be heard not only on tablas but also behind his drum kit, in a synthesis that few other musicians could credibly manage. He plays an enveloping tabla solo toward the end of "Revati," and then applies a similar discipline to the rat-a-tat of his snare drum on "Can-Did." Weiss was born and raised in New Jersey but has apprenticed for years with a percussive guru, Pandit Samir Chatterjee. His adaptive process as a musician isn't all that different from that of his band mates, who access the music of their heritage by way of a dynamic continuum. There are echoes of folk wisdom in some of Mahanthappa's compositions on Agrima: certainly "Showcase," with its ambulatory cadence, and "Rasikapriya," with its fluttery melodic incantation. And there is individual virtuosity, at almost every turn. But the larger point of this album is the transformation of materials in a process of real-time exchange — a meeting of minds and methods that takes no possibilities for granted. Agrima is available digitally for pre-order on Oct. 17, as a $2.50 download, and as a limited-edition double LP at rudreshm.com.